The department under the guidance of Dr. Guha Pradeepa plays a very important role in the development of scientific research through liaison with other departments by assisting in proposal writing to obtain national and international grants to carryout collaborative research of International standards and formulation of reports of projects. This division also coordinates multicentre International projects. In addition helps in enhancing knowledge regarding burden of diabetes and its complications to researchers and educating the community on the same. Workshops and seminars on non-communicable diseases (NCDs) with particular reference to diabetes and its complications are also organized for the benefit of young researchers and scientists. To create an outstanding climate of support for grant writing and dissemination of results on research activities conducted by the institute in the area of diabetes and its complications to the scientific society and the community. MDRF in association with the Indian Council of Medical research (ICMR), New Delhi, is currently involved in a national study to obtain the prevalence of diabetes and pre-diabetes in India. The ICMR-INDIAB study is a cross-sectional door to door survey conducted in individuals aged 20 years and above. This study is planned to survey124,000 individuals from 28 states, National Capital Territory (NCT) of Delhi and two union territories. From each state/union territory 4,000 individuals will be studied. This study is done in 3 phases- Phase I, includes 4 states - North-Chandigarh, South-Tamilnadu, West-Maharashtra, and East- Jharkhand, and has been completed. Phase II - 8 North east states of India and Phase III of the study - Rest of India, 18 states and the National Capital Territory of Delhi is now being carried out. Through this study, accurate and reliable data on the current state of diabetes and pre-diabetes will be obtained at the state level [urban and rural] for the first time in India. In addition, this study will obtain information on other cardio-metabolic risk factors and also assess the level of diabetes control among self reported diabetic subjects in urban and rural India. Designated by WHO, Geneva (2008-2014). Non Communicable Diseases (NCDs) have emerged as the leading cause of morbidity and mortality worldwide. MDRF carries out research on diabetes and other NCDs like hypertension, obesity, dyslipidemia and cardiovascular diseases. The institution has contributed to national programmes in NCDs with particular reference to diabetes, thus plays a leading role in health care, research, education and capacity building in diabetes and other NCDs. The objectives of the WHO Collaborating Centre is to provide continuous surveillance of NCDs, and also their prevention and control. Collaboration with WHO has been established at both regional and national levels for many years. Thus MDRF and Dr.Mohan’s Diabetes Specialities Centre, with its track record of work on NCDs has been designated as a WHO Collaborating Centre for Prevention and control of NCDs recently. Acknowledging the specialized education and training undertaken in diabetes and its complications by Dr.Mohan’s Diabetes Specialities Centre [DMDSC] and Madras Diabetes Research Foundation [MDRF], the IDF has declared our centres as an ‘IDF CENTRE OF EDUCATION in October 2009. Dr. Mohan’s Diabetes Specialities Centre and the Madras Diabetes Research Foundation was one among 6 centers all over the world to be designated as the IDF centre of Education for a period of 4 years. As an IDF Centre of education our institutions will work closely with IDF to extend and offer our diabetes education services globally particularly to other developing countries where such facilities are currently not available. This will help narrow the gap between the current recognized best practices in diabetes education and the actual management offered to people with diabetes in many developing countries. Several novel methods for screening for diabetes and pre-diabetes with potential application in low resource setting are currently in late stage research and development. So far, all technologies that have been reviewed are targeted towards high-resource settings. Thus to determine the relative accuracy of several diabetes screening and diagnostic methods (the IDRS, RCBG, AGE non-invasive devices, point of care HbA1c, FBG, lab HbA1c, serum AGE, and CMIT tests) and certain combinations of these tests in screening for prediabetes and type 2 diabetes. This cross-sectional study involving 1000 subjects from Chennai is conducted in collaboration with Program for Appropriate Technology in Health (PATH), USA. Madras Diabetes Research Foundation (MDRF), in collaboration with the University of Alabama at Birmingham (UAB), USA has taken the initiative to train epidemiologists and community health specialists in Prevention and Control of NCDs both within and outside India. This project is a NIH grant funded by Fogarty International Center. The primary objective of the programme is to encourage capacity building in India and to develop strategies for prevention of NCDs in general and diabetes and cardiovascular diseases in particular. In order to plan strategies for prevention of NCDs at the national and international level, the International Seminar on ‘Prevention and Control of Non-Communicable Diseases (NCDs)’ and Intensive training program were conducted for the past nine years. Since the initiation of this programme in 2003, over 1000 epidemiologists and community health specialists from 23 states across India including the North eastern states and from various countries including Bhutan, Maldives, Nepal, Srilanka, Thailand, Vietnam and USA have been trained in epidemiology of NCD. Chronic cardio-metabolic diseases [CMD] (diabetes, cardiovascular disease, and kidney disease) and their risk factors (central obesity, insulin resistance, glucose intolerance, dyslipidemia, and hypertension) have become a prominent public health concern globally, especially in South Asia. In response to this growing epidemic, a Centre Of Excellence [COE] - Center for cArdiometabolic Risk Reduction in South Asia [CARRS] has been established in South Asia to intensify the studies on CMD in South Asian to reduce the burden. MDRF collaborates with world-class multi-disciplinary investigators from the Emory University, Atlanta (USA), Public Health Foundation of India (PHFI) New Delhi [India], All India Institute of Medical Sciences, New Delhi [India] and Aga Khan University, Karachi [Pakistan] in establishing this multi-disciplinary COE-CARRS .Over the five years, this collaborative effort will help build research and human capacity at MDRF, and will enhance transfer of new ideas and innovative possibilities bridging the issues pertaining to CMD research across South Asia and globally. The COE will serve as a research hub for epidemiological and translational research and help produce world-class investigators through doctoral, post-doctoral, and short-term training programs in applied research. There is an urgent need to intensify the studies on diabetes in Asian Indians with international collaboration, as this can help to reduce the burden of diabetes in India. With this view, the Emory University at Atlanta, USA has come forward and is collaborating with MDRF and established the ‘MDRF-Emory Global Diabetes Research Centre’ as part of its Global Health Initiative. This collaboration will help establish MDRF as a Global Centre of Excellence in diabetes research. In addition, this project also promotes bilateral exchange of students to work on major population based studies in India. The ICMR-INDIAB study a cross-sectional, door-to-door survey to estimate the prevalence of diabetes and pre-diabetes in individuals aged 20 years and above. This study is planned to survey124,000 individuals from 28 states, National Capital Territory (NCT) of Delhi and two union territories. Data on demographics, family circumstances, behavioural aspects, physical activity, food pattern etc. will be obtained by questionnaire. Anthropometric indices, capillary fasting and 2-hour post load blood glucose and blood pressure will be measured. In addition, in every 5th case and diabetic individuals venous plasma glucose, lipid parameters and HbA1c levels will be obtained. MDRF offers diabetes training to global and national students, particularly to other developing countries where such facilities are currently not available. This will help improve research capacity in the field of diabetes. MDRF’s humble effort in this direction is the short term training opportunities that we provide to overseas students. Overseas students from various disciplines have made avail of this opportunity. During this training, students are exposed to various departments in MDRF viz., epidemiology, clinical trials, biochemistry, cell and molecular biology, genetics and tissue culture facility. As a WHO Collaborating Centre for diabetes one of our Institutes mandates is to promote NCD Prevention and control in India. Seminars on NCDs focusing on NCD epidemiology and specialized topics related to various NCDs are being organized annually at MDRF in collaboration with University of Alabama at Birmingham (UAB) supported by the world-renowned National Institutes of Health (NIH) U.S.A since 2003. The main rationale of this training programme is to train researchers at MDRF in clinical and basic research and epidemiologists and community medicine specialists all over India in the Prevention and Control of NCD’s. During the past ten years we have trained over 1000 epidemiologists and community health specialists from leading institutions and medical colleges across India in epidemiology of NCD’s”. It also includes in-depth workshops on National Prevention and Control programs on NCDs. Intensive training programme on clinical research methods is also conducted annually since 2005 in collaboration with University of Alabama at Birmingham (UAB). This course includes in-depth training on designing studies and risk factor analysis. The main objective is to improve the capability of the student/researcher, to identify methodological issues in study designs, ways to overcome potential problems, interpretation of the research findings, understanding the significance of the study results and improving the presentation and communication skills of researchers. Over 250 young researchers have benefited from this training programme. 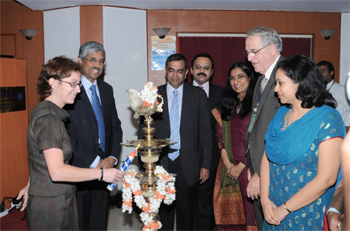 To further strengthen the NCD clinical research in India, Community Medicine Faculty were invited to discuss the current and future curriculum for Non-Communicable Diseases, which was organized on 25th March 2011. Twenty two Community medicine faculty members from 13 different medical colleges from Puducherry, Karnataka, Assam, Arunachal Pradesh, Meghalaya, Orissa and Tamilnadu participated in this session. A workshop on “Prevention of NCDs through Nutrition” was also organized on 10th February 2012 to assess the existing NCD related nutrition promotion initiatives to identify the potential gaps, barriers and opportunities for promoting multi-sectoral participation in NCD prevention through nutrition. 25 faculty members and stakeholders in the field of nutrition participated in this session. (v) Workshop on ‘Multi-sectoral Partnerships for Health Promotion and Non-Communicable Diseases (NCDs) Prevention in India’. The Madras Diabetes Research Foundation (MDRF) in partnership with Public Health Foundation of India (PHFI) along with the Centre for Chronic Disease Control (CCDC), Health Related Information Dissemination Amongst Youth (HRIDAY) and supported by the World Health Organization (WHO) undertook an assessment of existing NCD related health promotion initiatives in India to identify the potential gaps, barriers and opportunities for promoting multi-sectoral participation in NCD prevention. Towards that, a one day regional workshop was organized on 23rd July 2011 at MDRF, Chennai. The aim of this workshop was to sensitize various stakeholders on NCD burden in the country and obtaining their inputs on how multi- sectoral partnerships can be achieved to alleviate the rising burden of NCDs in India. The inputs from the regional workshops formed the basis for the National summit held at New Delhi in August 2011 and facilitated in building a national consensus on articulating India’s position at the United Nations summit on NCDs held in September, 2011. The Participants/Stakeholders from various settings included: Government sector & Policy makers, Legal experts, Schools, Colleges, workplaces and communities, Health care providers (both for profit and not for profit institutions), Customs, excise and income tax, representatives from media, food and pharmaceutical industries, corporate & private sector, non- governmental organizations. a. Provide information about diabetes and its complications for individuals with diabetes and their families, and offer useful advice about the prevention and management of diabetic complications. Diabetes monitor is published so as to reach even the Lay people. Research Grants division is committed to increasing the level of awareness of diabetes among public. This department has a critically important role in informing the public about the disease. This division forms communication channel to the lay audience by reporting about diabetes and its complications and also about the advanced treatments available to cure diabetes and its related disorders through lay press. Many articles have been published by this department in the leading magazines and news papers to educate the public about diabetes. Funded by Chennai Willingdon Corporate Foundation, Chennai. Two major project proposals the Chennai Urban Rural Epidemiology Study (CURES) to determine the prevalence of the diabetes and its complications in south Indians and PACE (Prevention, Awareness, Counseling and Evaluation) Diabetes Project to create massive awareness about diabetes and its complications among the public in Chennai city were drafted by the Research Operations department. The CURES is an ongoing project carried out by the Epidemiology Dept and has resulted in over 75 publications and the PACE diabetes project was completed successfully by the Translational Research Dept. and the results were amazing. Such projects can help prevent and control diabetes and its associated complications on a large scale. The Rural Diabetes Project was designed to take diabetes prevention and health care activities currently focused in urban areas to rural India. It aimed to improve the lives of millions of people affected with diabetes to which diabetes care is presently not available, accessible or affordable. The four year project was conducted in a cluster of villages atChunampet in Kancheepuram District, Tamilnadu about 100 Kms from Chennai. The project focused on a community based approach and to empower the local people, especially women and youth to become educators and catalyst in teaching people to adopt a healthy lifestyle. Screening for diabetes and its complications in the rural areas with particular respect to eye and foot complications using telemedicine were other aspects of the project. The other partners included Indian Space Research Organization (ISRO) Bangalore which provided satellite connection for the telemedicine facility and National Agro Foundation (NAF), which provided space for diabetes awareness & education programmes and helped in Identifying the self-help groups and youth for the project. This project helped evolve effective strategies, which could serve as a model in community based diabetes prevention programmes for rural areas in India and other developing countries. 1. This study helped us to obtain data on prevalence of obesity, undiagnosed diabetes/pre diabetes, dyslipidemia and hypertension in urban school children. 2. This project incresed awareness about various NCDs among school children and the health care burden due to NCDs can be reduced in the future. 3. This demonstration project served as a role model to study the feasibility and viability for NCD prevention programmes in school children in India and other developing countries. To carry out research on par with International Standards and to strengthen the facilities available at the Molecular genetics department of MDRF, the ‘ICMR Advanced Centre for genomics in Diabetes Mellitus’ was proposed. Under the auspices of the ‘ICMR Advanced Centre for genomics’, training was given to scientific personnel leading to capacity building and basic infrastructure was developed for carrying out genomic research related to diabetes and associated complications. The quality of diabetes research was improved by providing shared access to specialized technical resources and expertise in relation to genomics of diabetes and its complications. The research activities conducted in this advanced Genomics centre formed a solid basis for genetic epidemiology which will enable us to map the genetic diversity pertaining to diabetes in India. To intensify collaboration with institutes of similar interests in the field of diabetes to facilitate optimum fund utilization and seamless research. 1. NCD Risk Factor Collaboration (NCD-RisC). Effects of diabetes definition on global surveillance of diabetes prevalence and diagnosis: a pooled analysis of 96 population-based studies with 331 288 participants. Lancet Diabetes Endocrinol. 2015;3:624-37. 3. Anjana RM, Sudha V, Lakshmipriya N, Subhashini S, Pradeepa R, Geetha L, Bai MR, Gayathri R, Deepa M, Unnikrishnan R, Binu VS, Kurpad AV, Mohan V. Reliability and validity of a new physical activity questionnaire for India. Int J Behav Nutr Phys Act. 2015 18;12:40. 5. Berg CJ, Ajay VS, Ali MK, Kondal D, Khan HM, Shivashankar R, Pradeepa R, Mohan D, Fatmi Z, Kadir MM, Tandon N, Mohan V, Narayan KM, Prabhakaran D. A cross-sectional study of the prevalence and correlates of tobacco use in Chennai, Delhi, and Karachi: data from the CARRS study. BMC Public Health. 2015 11;15:483. 6. Ali MK, Bhaskarapillai B, Shivashankar R, Mohan D, Fatmi ZA, Pradeepa R, Masood Kadir M, Mohan V, Tandon N, Venkat Narayan KM, Prabhakaran D; CARRS investigators. Socioeconomic status and cardiovascular risk in urban South Asia: The CARRS Study. Eur J Prev Cardiol. 2015 . pii: 047487315580891. 7. 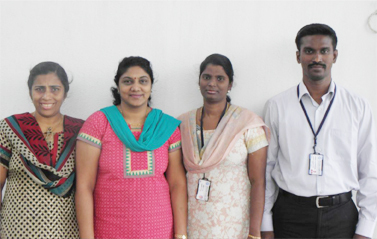 Anjana RM, Shanthi Rani CS, Deepa M, Pradeepa R, Sudha V, Divya Nair H, Lakshmipriya N, Subhashini S, Binu VS, Unnikrishnan R, Mohan V. Incidence of Diabetes and Prediabetes and Predictors of Progression Among Asian Indians: 10-Year Follow-up of the Chennai Urban Rural Epidemiology Study (CURES). Diabetes Care. 2015 ;38:1441-8. 8. Billow A, Anjana RM, Ngai M, Amutha A, Pradeepa R, Jebarani S, Unnikrishnan R, Michael E, Mohan V. Prevalence and clinical profile of metabolic syndrome among type 1 diabetes mellitus patients in southern India. J Diabetes Complications. 2015;29:659-64. 10. Anand S, Shivashankar R, Ali MK, Kondal D, Binukumar B, Montez-Rath ME, Ajay VS, Pradeepa R, Deepa M, Gupta R, Mohan V, Narayan KM, Tandon N, Chertow GM, Prabhakaran D. Prevalence of chronic kidney disease in two major Indian cities and projections for associated cardiovascular disease. Kidney Int. 2015 ;88:178-85. 11. Poongothai S, Pradeepa R, Indulekha K, Surendar J, Mohan V. Association of depression with common carotid artery intima media thickness and augmentation index in a large Urban South Indian population- The Chennai Urban Rural Epidemiology Study (CURES - 138). Indian J Endocrinol Metab. 2015 ;19:136-42. 12. Indulekha K, Surendar J, Anjana RM, Geetha L, Gokulakrishnan K, Pradeepa R, Mohan V. Metabolic obesity, adipocytokines, and inflammatory markers in Asian Indians--CURES-124. Diabetes Technol Ther. 2015 ;17:134-41. 14. Pradeepa R, Surendar J, Indulekha K, Chella S, Anjana RM, Mohan V. Association of serum adiponectin with diabetic microvascular complications among south Indian type 2 diabetic subjects - (CURES-133). Clin Biochem. 2015;48:33-8. 15. Ranjani H, Pradeepa R, Mehreen TS, Anjana RM, Anand K, Garg R, Mohan V.Determinants, consequences and prevention of childhood overweight and obesity: An Indian context. Indian J Endocrinol Metab. 2014 ;18(Suppl 1):S17-25. 16. Adaikalakoteswari A, Jayashri R, Sukumar N, Venkataraman H, Pradeepa R, Gokulakrishnan K, Anjana RM, McTernan PG, Tripathi G, Patel V, Kumar S, Mohan V, Saravanan P. Vitamin B12 deficiency is associated with adverse lipid profile in Europeans and Indians with type 2 diabetes. Cardiovasc Diabetol. 2014 26;13:129. 17. Unnikrishnan R, Anjana RM, Deepa M, Pradeepa R, Joshi SR, Bhansali A, Dhandania VK, Joshi PP, Madhu SV, Rao PV, Lakshmy R, Jayashri R, Velmurugan K, Nirmal E, Subashini R, Vijayachandrika V, Kaur T, Shukla DK, Das AK, Mohan V; ICMR–INDIAB Collaborative Study Group. Glycemic control among individuals with self-reported diabetes in India--the ICMR-INDIAB Study. Diabetes Technol Ther. 2014;16:596-603. 20. Deepa M, Bhansali A, Anjana RM, Pradeepa R, Joshi SR, Joshi PP, Dhandhania VK, Rao PV, Subashini R, Unnikrishnan R, Shukla DK, Madhu SV, Das AK , Mohan V, Kaur T for the ICMR–INDIAB Collaborative Study Group. Knowledge and awareness of diabetes in urban and rural India: The ICMR–INDIAB study (Phase 1): ICMR-INDIAB 4. Indian J Endocrinol Metab, 2014; 18:379-85. 21. Joshi SR, Anjana RM, Deepa M, Pradeepa R, Bhansali A, Dhandania VK, Joshi PP, Unnikrishnan R, Nirmal E, Subashini R, Madhu SV, Rao PV, Das AK, Kaur K, Shukla DK, Mohan V, for the ICMR– INDIAB Collaborative Study Group. Prevalence of dyslipidemia in urban and rural India: The ICMR-INDIAB study. PLoS One. 2014 ;9(5):e96808. 25. Anjana RM, Pradeepa R, Das AK, Deepa M, Bhansali A, Joshi SR, Joshi PP, Dhandhania VK, Rao PV, Sudha V, Subashini R, Unnikrishnan R, Madhu SV, Kaur T, Mohan V, Shukla DK; ICMR– INDIAB Collaborative Study Group. Physical activity and inactivity patterns in India - results from the ICMR-INDIAB study (Phase-1) [ICMR-INDIAB-5]. Int J Behav Nutr Phys Act. 2014: 26;11:26. 26. Skar M, Villumsen AB, Christensen DL, Petersen JH, Deepa M, Anjana RM, Pradeepa R, Mohan V. Increased risk of type 2 diabetes with ascending social class in urban South Indians is explained by obesity: The Chennai urban rural epidemiology study (CURES-116). Indian J Endocrinol Metab. 2013 ;17:1084-9. 27. Anbalagan VP, Venkataraman V, Pradeepa R, Deepa M, Anjana RM, Mohan V. The prevalence of presarcopenia in Asian Indian individuals with and without type 2 diabetes. Diabetes Technol Ther. 2013;15:768-75. 28. Mohan V, Seedat YK, Pradeepa R. The rising burden of diabetes and hypertension in southeast asian and african regions: need for effective strategies for prevention and control in primary health care settings. Int J Hypertens. 2013;2013:409083.doi: 10.1155/2013/409083. 30. Mohan V,Rani CS, Regin BS, Balasubramanyam M, Anjana RM, Matter NI, Poongothai S, Deepa M, Pradeepa R. Noninvasive Type 2 Diabetes Screening: Clinical Evaluation of SCOUT DS in an Asian Indian Cohort. Diabetes Technol Ther. 2013 ;15:39-45. 31. Mohan V, Deepa M, Pradeepa R, Prathiba V, Datta M, Ravikumar S, Rakesh H, Sucharita Y, Webster P, Allender S, Kapur A, Anjana RM. Prevention of Diabetes in Rural India with a Telemedicine Intervention. J Diabetes Sci Technol. 2012; 6:1355 – 1364. 34. Pradeepa R, Prabhakaran D, Mohan V. Emerging Economies and Diabetes and Cardiovascular Disease. Diabetes Technology & Therapeutics. 2012, 14(S1): S-59-S-67. 35. Yau JW, Rogers SL, Kawasaki R, Lamoureux EL, Kowalski JW, Bek T, Chen SJ, Dekker JM, Fletcher A, Grauslund J, Haffner S, Hamman RF, Ikram MK, Kayama T, Klein BE, Klein R, Krishnaiah S, Mayurasakorn K, O'Hare JP, Orchard TJ, Porta M, Rema M, Roy MS, Sharma T, Shaw J, Taylor H, Tielsch JM, Varma R, Wang JJ, Wang N, West S, Xu L, Yasuda M, Zhang X, Mitchell P, Wong TY; Meta-Analysis for Eye Disease (META-EYE) Study Group. Global prevalence and major risk factors of diabetic retinopathy. Diabetes Care. 2012; 35:556-564. 36. Deepa M, Pradeepa R, Anjana RM, Mohan V. Noncommunicable Diseases Risk Factor Surveillance: Experience and Challenge from India. Indian Journal of Community Medicine. 2011;36 (Suppl):S50-56. 37. Anjana RM, Pradeepa R, Deepa M, Datta M, Sudha V, Unnikrishnan R, Bhansali A, Joshi SR, Joshi PP, Yajnik CS, Dhandhania VK, Nath LM, Das AK, Rao PV, Madhu SV, Shukla DK, Kaur T, Priya M, Nirmal E, Parvathi SJ, Subhashini S, Subashini R, Ali MK, Mohan V for the ICMR– INDIAB Collaborative Study Group. Prevalence of diabetes and prediabetes in urban and rural India: results of the ICMR-INDIAB study (Phase-1). Diabetologia 2011 ;54:3022-7. 38. Anjana RM, Pradeepa R, Deepa M, Datta M, Sudha V, Unnikrishnan R, Nath LM, Das AK, Madhu SV, Rao PV, Shukla DK, Kaur T, Ali MK, Mohan V. The Indian Council of Medical Research–India Diabetes (ICMR–INDIAB) Study: Methodological Details. J Diabetes Sci Technol 2011; 5: 906-914. 41. Pradeepa R, Prabu AV, Jebarani S, Subhashini S, Mohan V. Use of a large diabetes electronic medical record system in India: clinical and research applications. J Diabetes Sci Technol. 2011 1;5:543-52. 42. Priya M, Mohan Anjana R, Pradeepa R, Jayashri R, Deepa M, Bhansali A, Mohan V. Comparison of Capillary Whole Blood Versus Venous Plasma Glucose Estimations in Screening for Diabetes Mellitus in Epidemiological Studies in Developing Countries. Diabetes Technol Ther, 2011; 13:586–591. 43. Anjana RM, Ali MK, Pradeepa R, Deepa M, Datta M, Unnikrishnan R, Rema M, Mohan V. The need for obtaining accurate nationwide estimates of diabetes prevalence in India - Rationale for a national study on diabetes. Indian J Med Res 2011; 133: 369-380. 45. Poongothai S, Anjana RM, Pradeepa R, Ganesan A, Umapathy N, Mohan V. Prevalence of Depression in Relation to Glucose Intolerance in Urban South Indians-The Chennai Urban Rural Epidemiology Study (CURES-76). Diabetes Technol Ther. 2010;12:989-94. 46. Sonya J, Ranjani H, Pradeepa R, Mohan V. Obesity Reduction and Awareness and Screening of Noncommunicable Diseases through Group Education in children and adolescents (ORANGE): methodology paper (ORANGE-1). J Diabetes Sci Technol. 2010 ;4:1256-64. 50. Poongothai S, Pradeepa R, Ganesan A, Mohan V, Prevalence of depression in a large urban south Indian population-The Chennai Urban Rural Epidemiology study (CURES-70).PLOS ONE . 2009, 28;4:e7185. 51. Rema M, Pradeepa R. Retinal Stem Cells. Journal of Tamil Nadu Ophthalmic Association. 2009; 47: 58-59. 2. Mohan V, Pradeepa R, Anjana RM. Diabetes in india : An Epidemiological Review. In: Current Controversies & Consensus in Diabetes Management. Das AK (ed).Micro Lab Limited, Banglore, 2015;1-14. 3. Mohan V, Pradeepa R, Anjana RM. Epidemiology and its application to clinical care in diabetes. In: Improving Diabetes Care in the Clinic. Shah JH (ed). Jaypee Brothers Medical Publishers (P) Ltd, New Delhi. 2014; pp 31- 54. 4. Pradeepa R, Rajalakshmi R. Eye diseases in Diabetes. In: RSSDI Textbook of Diabetes Mellitus. 3rd edition. Chandalia HB, Das AK, Rao PV, Madhu SV, Mohan V, RSSDI, 2014; p.989-1012. 7. Mohan V, Pradeepa R, Deepa M, Anjana RM, Unnikrishnan RI, Datta M. How to detect the millions of people in India with undiagnosed diabetes cost effectively. In: Medicine Update. Rao MS(Ed), The Association of Physicians of India, 2010; 20:pp. 93 – 96.